The Lloyd Kennewell-trained Jedastar will be among entries for the Blue Duamond Fillies Preview. After announcing herself as an exciting prospect with a dominant win on debut, flying filly Jedastar will be out to make her mark in the Blue Diamond series. 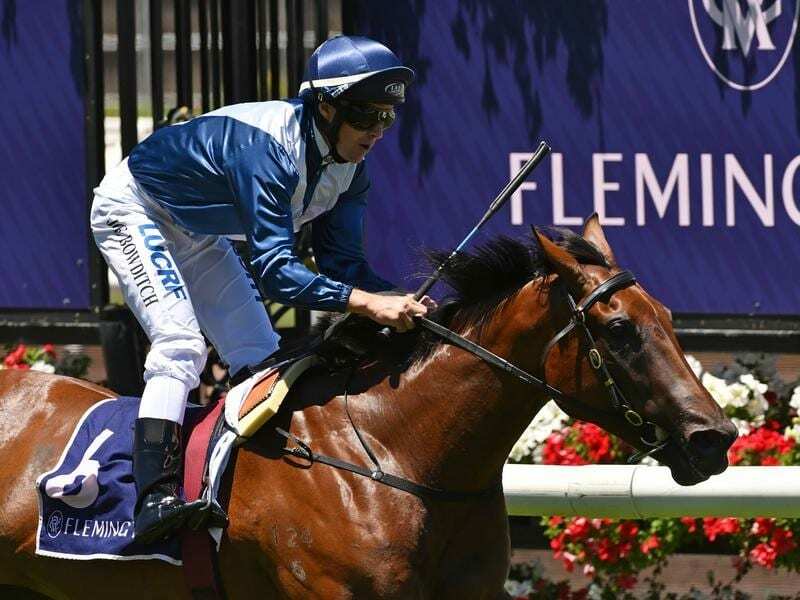 The Lloyd Kennewell-trained two-year-old has her second start in Saturday’s Group Three Blue Diamond Preview (1000m) for fillies at Caulfield. Her performance will be an indicator of how far she progresses in this year’s Blue Diamond series. The Listed colts and geldings Preview (1000m) and the fillies Preview are both on Saturday before the respective Preludes two weeks later. The $1.5 million Group One Blue Diamond (1200m) is on February 23. Jedastar was too speedy for her rivals in a 1000m race for two-year-old fillies at Flemington on January 1 and Kennewell said he was looking forward to stepping her out again in Saturday’s race. “That’s been her target all along,” Kennewell said. The entries for the fillies Preview are expected to include the Peter and Paul Snowden-trained pair Catch Me and Anaheed, winners of the Gimcrack Stakes and Victory Vein Plate respectively. Tony McEvoy is planning to start Pretty Brazen who was runner-up at Flemington on debut last Saturday week to Godolphin colt Microphone. Jedastar is at $15 in latest Blue Diamond betting but Kennewell is taking it one race at a time. “With two-year-olds you don’t know how long you’ve got them for so you are holding your breath each time they run,” he said.